A sequel to the 1982 sci-fi film Tron, new release Tron: Legacy follows the CEO of an international computer company named Kevin Flynn. When he mysteriously disappears in 1989, his son, Sam, is left behind. Twenty years later, Sam receives a page from his father’s abandoned arcade, and unknowingly transports himself onto The Grid, a digital world where he must fight for his survival. Despite mixed reviews from critics, Tron: Legacy features stunning visual effects and action sequences. Tron’s computerized world is also full of fashion inspiration, with high-tech clothing and futuristic hair and makeup. 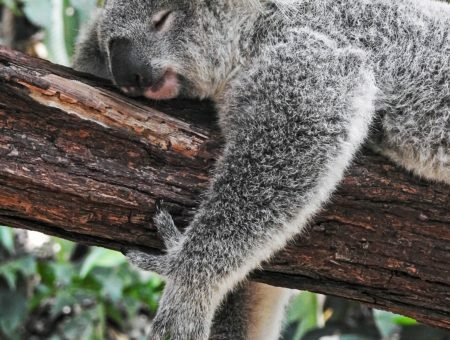 If you haven’t seen the movie yet, don’t worry – there are no spoilers here! 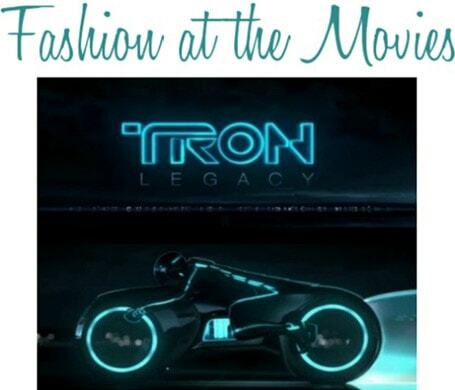 Read on to uncover the fashion secrets of the movie, Tron: Legacy. The first outfit is inspired by the attire Sam wears when he decides to revisit his dad’s old arcade. To channel his look, I created an ensemble in dark neutrals with a leather jacket and combat boots, to show off your rebellious side. Next, a sleek backpack is just as perfect for walking to class as it is for stealing programs from ENCOM. As a final touch, add these cute Betsey Johnson earrings that resemble Sam’s dog, Marvin! Product Information: Jacket- Delias, Pants- Hurley TRON Collection, Boots- Nordstrom, Scarf- The Outnet, Backpack- Swell, Earrings- Macys, Shirt- OAK NYC. When Sam first enters the world of Tron, he is greeted by the Sirens, who prepare him for battle. They are dressed in head-to-toe white and wear sharp topknot hairstyles with contrasting dark eye makeup. Club owner Castor also wears all white and silvery-blue makeup that corresponds to the shades of blue in The Grid. To get this look, layer white tights under a mod silvery-white dress and turtleneck, if you’re feeling really adventurous (or cold). Linear accessories like the headband and watch, as well as sparkling silver eyeshadow, add to the Siren effect. The white wedges resemble the cutout wedges the Sirens wear in the movie, while a glowstick necklace evokes the band of light in the center of the characters’ outfits. Product Information: Eyeshadow- Lime Crime Makeup, Headband- Forever 21, Watch- Asos, Dress- Asos, Turtleneck- Gap, Tights- Forever 21, Glow Necklace- Party City, Ring- Forever 21, Shoes- Yes Style. Once Sam finds himself on The Grid, he is challenged to a Light Cycle match where he is rescued by a program named Quorra. She has an asymmetrical hairstyle and wears a black bodysuit with blue lights, identical to the one that Sam wears. For a look inspired by Quorra, start with this TRON-inspired dress and add black and blue tights, a silver cuff bracelet, and black wedges. An eyeliner pen makes it easy to recreate her cat-eye look. In case you find yourself transported to The Grid as well, don’t forget your identity disk, which may come in handy when faced with an enemy! Product Information: Eyeliner- elf, Dress- Hurley TRON Collection, Tights- Pret-A-Beaute, Cuff Bracelet- Forever 21, Wedges- Urban Outfitters, Identity Disk- Toys ‘R’ Us. At the film’s Hollywood premiere, actress Olivia Wilde (Quorra) wore a floor-length, shimmering gold gown that perfectly contrasted with all the blue lighting. To get Olivia’s look, try pairing this flowy gold tunic top with a pencil skirt, belt, and heels. Golden accessories and a black stone necklace add a bit of edge to an otherwise glam look. Product Information: Top- Topshop, Ring- Urban Outfitters, Belt- Forever 21, Skirt- Forever 21, Necklace- Forever 21, Heels- Forever 21, Clutch- Nordstrom. Elle went behind the scenes to show you how to get the Sirens’ makeup and hair looks step-by-step. The crew fooled me; I had no idea Beau Garrett was wearing a wig! If you’re a music nerd like me, check out the movie’s soundtrack, composed entirely by electronic duo Daft Punk. They collaborated with Joseph Trapanese and an 85-piece orchestra to create music for the virtual world of TRON, and even made a cameo in the film. Disney found a perfect outlet for movie merch with the addition of Tron-inspired items to their Disney Couture line. Most of the items, like these Rousseau silver heels, are pretty awesome, but do come with a hefty price tag. Opening Ceremony also created a TRON line of clothing, full of peplum dresses, lazer cut skirts, and even a handbag that resembles an identity disk. For more on the film’s costumes, check out this interview with co-costume designer Christine Clark, in which she reveals that the super suits used in the movie only had an average battery life of 12 minutes, causing them to create over 300 suits for the movie. Do you like the characters’ styles in TRON? How do you use movies as fashion inspiration? What other movies inspire you? Let me know with a comment!